Two people who played a major part in the discovery of the remains of King RIchard III have been awarded in the Queen's Birthday Honours. Philippa Langley and eminent medieval historian John Ashdown-Hill received MBEs for their efforts to search for the body of the last Plantagenet king, leading to his internment. The monarch's skeleton was reburied in Leicester Cathedral in March, more than 500 years after he died at the Battle of Bosworth. 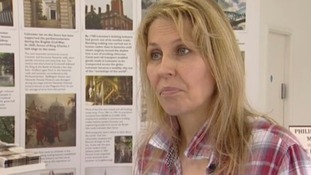 It was Philippa Langley’s conviction that Richard III was buried under the Greyfriars car park that resulted in the find.